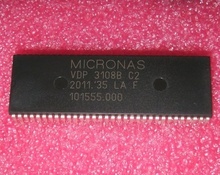 Multistandard Video Decoder CI QFP80 case 14x14. Cross Reference: 830486940200 VSP9402A-B13. BTL Class-D Power Amplifier 1 x 55W or 2 x 15W HSSOP32. 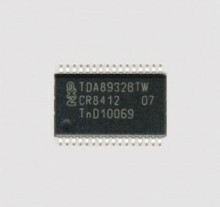 Cross Reference: TDA8932W TDA8932BTW/N1. Video Display Deflection Procesor, SDIP64. 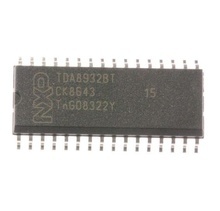 Cross Reference: VDP3108B-PPC2; is not equivalent to VDP3108A Panasonic !. Dual Power Driver Amplifier 100-130W ZIP15, Sony Kenwood. Cross Reference: 875932652 C2581V PC2581V uPC2581. 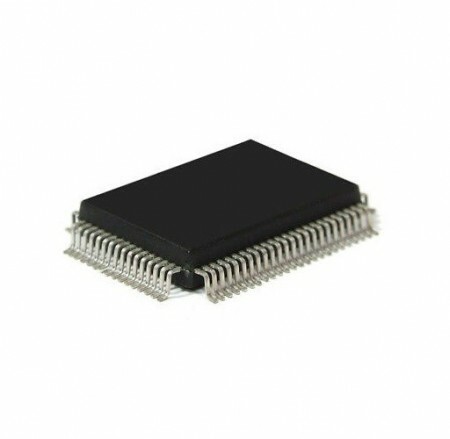 Pulse Width Modulation (PWM) Controller 40V 5% 300KHz, DIP16. 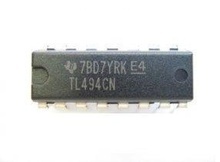 Cross Reference: TL494 TL494CN.